I’m always thoroughly pleased when a book surprises me. And this one was a wonderful surprise. 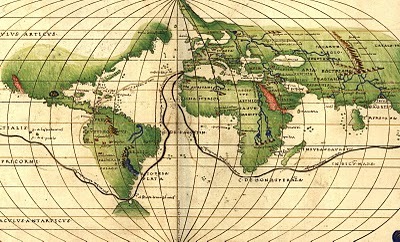 Perhaps it was because I started off with almost no expectations about A Golden Age. All I knew about this book was that it was set in East Pakistan (now Bangladesh) in the 1970s. And what do I know about East Pakistan today, let alone in the 1970s? I guess that’s why it took me a while to pick up this one – really close to the library’s due date. I even renewed it online as I wasn’t sure if I would finish it, but then, after an initial setback when reading the prologue, I found the pages flying by (once again, a prologue throws me off track… huh). A Golden Age is a story of a brave woman, who at first doesn’t seem so brave. Rehana Haque is a widow, the mother of Sohail and Maya, who are caught up in the resistance movement, attending meetings, rallies, debating their fight for independence. Rehana “did not have the proper trappings of a nationalist. She did not have the youth or the appearance or the words”. Rehana was born in western Pakistan and speaks the ‘enemy’ language of Urdu, but has called East Pakistan home since her marriage. But this is 1971 and war is looming. And everyone has to play a part, and Rehana knows that she cannot stop her children from joining the freedom fighters, although there was a part of her that “wanted them to have nothing to do with it all, to keep them safe at home”. Rehana too enters the fray, opening her house to the resistance movement, taking in refugees and fighters, helping out at a refugee camp. 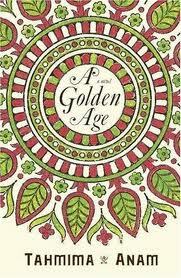 A Golden Age is such an accomplished first novel. It is strong, but soft at the right moments. With the fight for independence, there is violence and terror and fear. But Anam also manages to paint us into 1970s East Pakistan, describing its landscape, cuisine, dwellings, sights, sounds and smells with a loving hand. And creates such a strong character in Rehana, someone I couldn’t help admiring and loving. I read this book as part of the Global Reading Challenge.